Ruth is the current Chair of the Fukunaga Family Council (the “Council”), comprised of nine individuals representing the Fukunaga Family. She has served in this capacity since the formation of the Council in late 2014. As the Chair of the Council, Ruth leads and executes on policies, recommendations, and activities related to family governance matters impacting the Fukunaga Family (the majority shareholder group of Servco Pacific, Inc.). Ruth is also a Professional Accounting Fellow in the Office of the Chief Accountant at the U.S. Securities and Exchange Commission (the “Commission”) in Washington, D.C. Her responsibilities include following the activities of professional accounting standard setting bodies both within the United States and internationally, consulting with registrants on accounting and reporting matters, and participating in the development of the Commission’s and other standard setting bodies’ rule proposals. 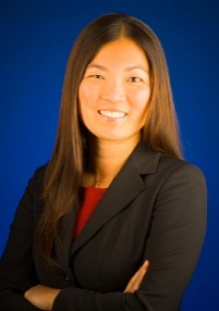 Prior to joining the Commission in 2015, Ruth was a Senior Manager at Deloitte & Touche, LLP in its Honolulu and San Francisco offices. Ruth holds a Bachelor of Arts degree in Economics-Accounting from Claremont McKenna College, and a Masters of Business Administration from the Drucker School of Management at Claremont Graduate University in Southern California. She is a Certified Public Accountant in the states of California and Hawaii. On a personal note, Ruth grew up on the islands of Oahu, Molokai, and Maui, and is passionate about family, servant leadership, women’s leadership, continuous curiosity and learning, the ocean, and international travel. In her free time, she enjoys running, hiking, reading, and trying new restaurants.